Treyarch is "100% Call of Duty"
Treyarch's days of making anything other than Call of Duty games are done, according to studio head Mark Lamia. 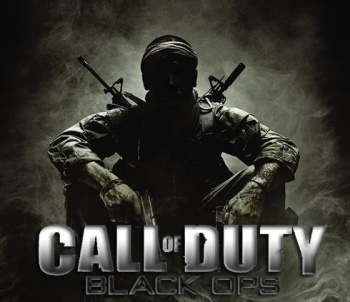 While Treyarch might be best known for its Call of Duty games, it has developed a bunch of other titles in the past, such as Quantum of Solace and Spider-Man: Web of Shadows. But those days are over, as Treyarch is now completely focused on the Call of Duty series, according to studio head Mark Lamia. "Treyarch is a 100 percent Call of Duty studio -- and it has been for a long time now, long before any of [the Infinity Ward] events occurred," Lamia said, "We focused all of our efforts on creating the best Call of Duty game we possibly can and what that meant is not working on anything else." "We are a multiple team studio and focusing on Call of Duty and Call of Duty gameplay meant focusing all of our teams on that," Lamia continued, and added that there is now a team dedicated to the multiplayer portion of the game, something that was missing for previous titles. Analysts are predicting that Black Ops's sales will number around 10 Million mark, and with an entire company now working on it, maybe that's more true than we previously thought.